The concept of “flow” was first introduced by Mihály Csíkszentmihályi. In his studies on happiness and creativity, he noticed that people tend to have their most fulfilling experiences through work (instead of controlled leisure time). When we’re in flow – or as I’ve referred to it throughout this series, in the zone – we know it. We lose ourselves in our work (“merging of action and awareness, loss of self-consciousness”). We look up, and hours have passed (“distorted sense of time”). But even though it may seem mystical, magical – so much so that the ancient Greeks divined it as a sign that the gods were working through you – flow doesn’t just happen. We must work and fight for it. The zone demands that we are relaxed, alert, and engaged. Otherwise it will be like a dog that never comes when you call it. Streamline what’s important. Define your goals. Make sure they are your goals, and no one else’s. Establish a time and a place to write. Make it routine. Then show up and get to work. The zone helps those who help themselves. Don’t wait for inspiration to strike. You call inspiration to you through doing the actual work, instead of dreaming or waiting or talking about it. Show your work to people. Seek out the tough love of true constructive criticism. The zone demands frequent feedback so we can learn and grow and push past the edges of our ability. The zone has no use for ego. Ego only gets in the way. Always be pushing at the limits of your ability. This is known as “deliberate practice”, the key components of which (listed in this article) dovetail quite nicely with flow. “Deliberate practice” is the stuff of champions, more important than innate natural talent, and entirely within your control. Focus on the task, not the outcome. Intrinsic motivation is the best and most powerful kind (and also what leads to external rewards). 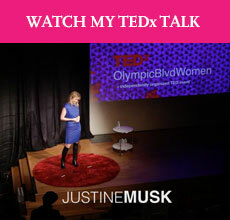 Thanks for this wonderful series, Justine! I’ve been enjoying your blog ever since Cal Newport linked to it, and I’m officially hooked. Of all the blogs I visit, yours has to be my favorite–great writing and great advice! This post is so inspiring! I hope you are well! Thanks for this series, Justine. Fight Club is awesome. In terms of fiction, I find that when I’m in the zone, the writing actually becomes not so much about words at all, and not about any message that my “ego” wants to tell people, but rather the attempt to take what’s lying in my imagination somewhere in a pre-language form–things I see/feel/sense, and record it before it goes away. In a way I guess it’s just the reverse of what happens when you get into a book you’re reading–it’s not about words at all, or what the author wants, but a world you get to be in. So very rare that that happens to me while writing. But worth the work that it takes to get there. And by reverse I mean the same thing, but in the other order. As if you encode your vision in writing and then your reader unpacks it. thanks so much — that is the proverbial music to mine ears…glad to have you around. That’s a beautiful way of putting it, and I think you’re absolutely dead-on. Stephen King in MISERY talks about the hole opening up in the paper (literal paper, in his character’s case, he’s working on a typewriter) and how he falls through into the storyworld…It’s a remarkable thing. And it’s a remarkable thing to be able to do for others.